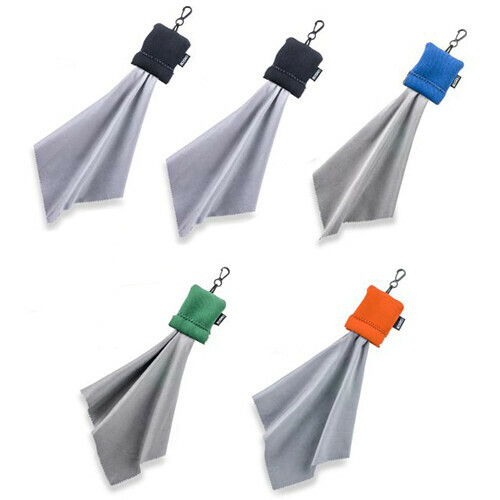 This four-pack of Stuff-It Pro Microfiber Cloths in green, orange, black, and blue from Carson is a handy little accessory that can be thrown in your gear bag or clipped to your jacket. Remove one of the super-soft microfiber cloths from the protective pouch and use it to clean camera lenses, telescopes, spotting scopes, eyeglasses, and other valuable optics. 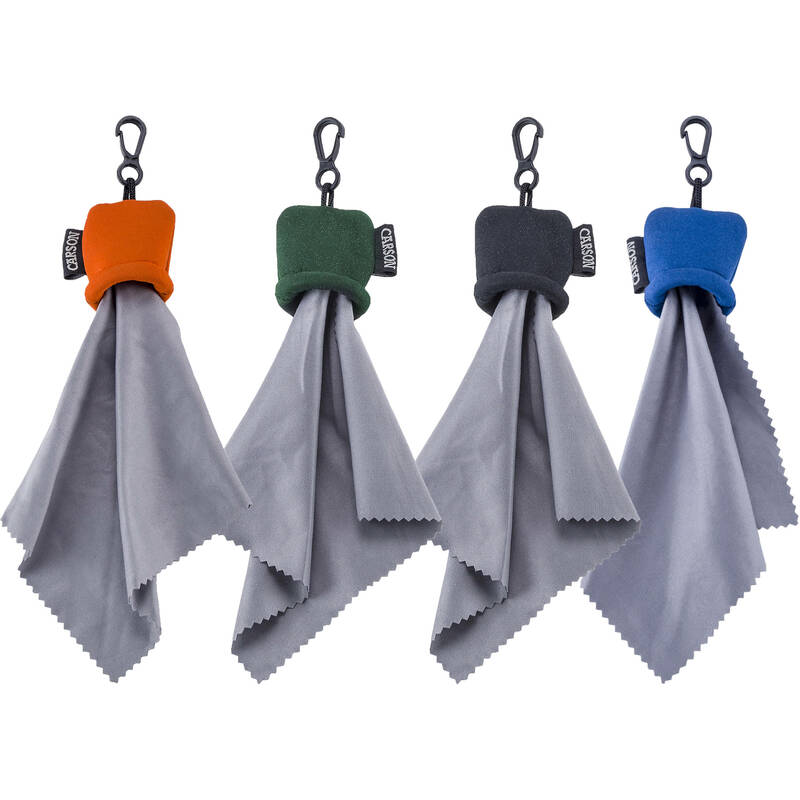 These cloths are a safe and convenient way to remove lint, dust, dirt, and fingerprints, and when you are finished cleaning you can simply push the cloth back into the pouch until the next time you need it.